She had a dramatic meltdown as she flew back from a holiday in Cancun this summer. 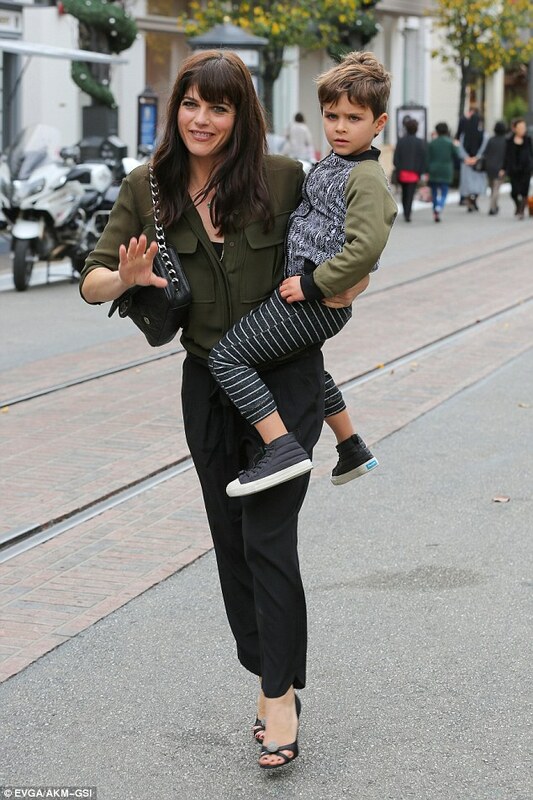 But it would seem that Selma Blair has made a complete recovery six-months on from the incident, labelling the incident 'embarrassing'. Reflecting on the mid-flight meltdown in June, the Cruel Intentions actress, 44, revealed she'd 'fully recovered' from the episode, and labelled it 'very embarrassing'. Speaking to People at the Baby2Baby Snow Day in Los Angeles, Selma explained she was trying to move on from the 'moment'. Earlier this year The People v. O.J. Simpson star had a complete meltdown as flew back from Mexico - where she'd been holidaying with her son Arthur Saint Bleick. The actress broke down mid-flight, shouting about physical abuse as she burst into tears. Following the incident she was met by paramedics at LAX, with a source telling People: 'She was met by paramedics at LAX as soon as her plane arrived. 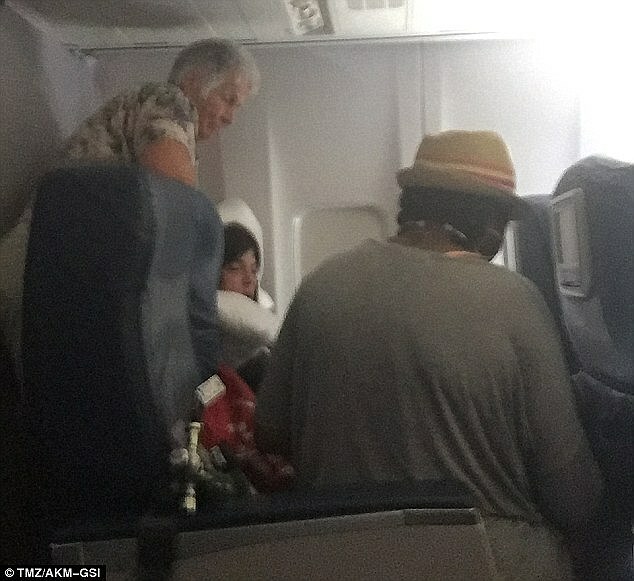 Prior to landing in Los Angeles the pilot got in touch with air control and told them she had been mixing alcohol and an unknown medication. Two nurses were also on the flight and went through the actress' belongings to try and determine what sort of pills the actress might have taken during the trip. In October the star first addressed the issue on the The Talk, explaining what happened on the flight with her five-year-old son Arthur and his father Jason Bleick was 'so out of character' for her; whilst she also assured fans that she now doesn't drink alcohol. 'I am someone that should never drink, and I rarely do. And I don't drink anymore, but I did,' she said. Kanye West-wing: The Donald embraces his troubled 'friend' at Trump Tower and escorts him out after meeting as Ivanka looks on - but did the rapper offer to perform at his inauguration?